So we’ve made it past Thanksgiving and Hanukkah, Christmas and Kwanzaa, Krampusnacht and New Year’s Eve. In any other place, that would mean the celebrations have come to an end, until next year. But here in New Orleans, the new year gives way to a different type of celebration: Carnival season. 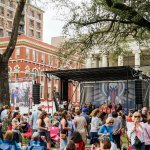 Since Mardi Gras Day isn’t until March 5 this year, you can pass the time with plenty of local talents and legends gracing our stages in February. Honor Black History Month with the New Orleans Jazz Orchestra’s tribute to Oretha Castle Haley, see Morning 40 Federation at Maple Leaf, or Nayo Jones at the Jazz Playhouse, to name a few. Here’s our guide to live music in New Orleans this February. Feb. 1: Darcy Malone & The Tangle at Tipitina’s at 10 p.m.
Tangle founders Darcy Malone—daughter of The Radiators’ Dave Malone—and Christopher Boye wanted to create music that was an incorporation of Malone’s background in soul and pop with Boye’s love for underground rock n’ roll. The blurred lines of those genres led to their band name and distinctive sound. Feb. 2: Morning 40 Federation at Maple Leaf at 11 p.m. The Morning 40 Federation was born and bred in the Ninth Ward of New Orleans, formed in 1997 as a drunken quasi-dare by Josh Cohen and Space Rickshaw, amateur saxophonist and trombonist, respectively and whose listed influences include sleep deprivation, Tom Waits, sweat between your cheeks, 24-hour diners, the Kinks, Ernie K-Doe, and urban decay. Feb. 4: Aurora Nealand & The Royal Roses at The Maison at 7 p.m.
Bandleader Aurora Nealand gave life to the Royal Roses after witnessing a resurgence in traditional jazz in younger generations of musicians. After eight years of playing together, the Royal Roses still draw education and inspiration from the greats like Sidney Bechet and Django Reinhart amongst others while working to breathe new energy into the genre. Feb. 6: Lynn Drury Singer-Songwriter Series at Loa Bar at 6 p.m.
Head to the International House’s Loa Bar for a gathering of New Orleans upcoming singer/songwriters. Wednesday nights in February, Gulf Coast native Lynn Drury will invite her fellow singer/songwriters to take the stage for an evening of music. On Feb. 6, Susan Coswill will join her. Mark your calendars for Feb. 13, where Carolyn Broussard will join, and Feb. 20, where Ted Hefko will join. 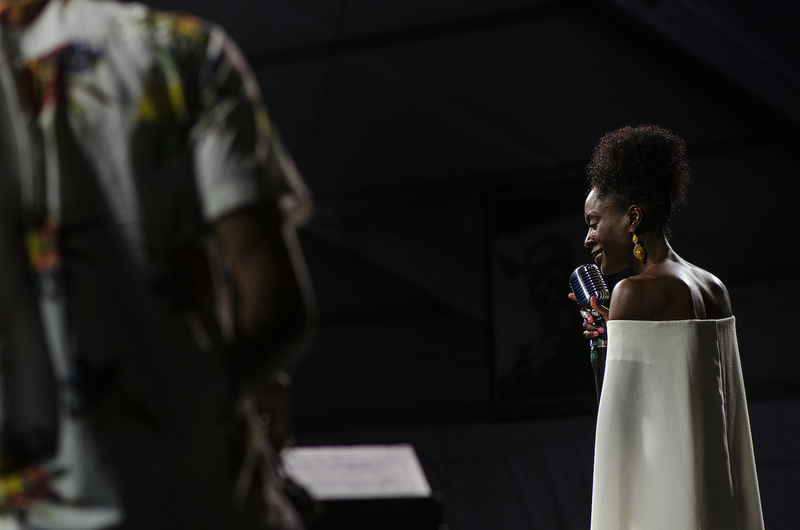 Feb. 8: Nayo Jones at the Jazz Playhouse at 7:30 p.m.
Nayo wows her crowds and gains loyal fans with her sultry voice and her passion for every performance. She has appeared as the opening act for such greats as Chris Botti, Otis & the Temptations, The Whispers, and Lakeside. Her fans have compared her to the likes of Natalie Cole, Roberta Flack, and Billie Holiday as she belts out tunes from jazz standards to adult R&B. Feb. 9: Soul Rebels at d.b.a. at 11 p.m. The Soul Rebels began after an idea to expand upon both the pop music they loved on the radio as well as the New Orleans traditional brass they grew up on. They continue to chart new territory in feature films, global tours, and unparalleled musicianship that celebrates life, funk, and soul. Feb. 11: Nutria at Bacchanal at 7:30 p.m.
Named after the infamous swamp rat, Nutria performs their genre-bending instrumental music with an emphasis on collective improvisation. Their music explores jazz, chamber music, and traditional music of the African diaspora and Eastern Europe while working within the groove traditions of New Orleans jazz. 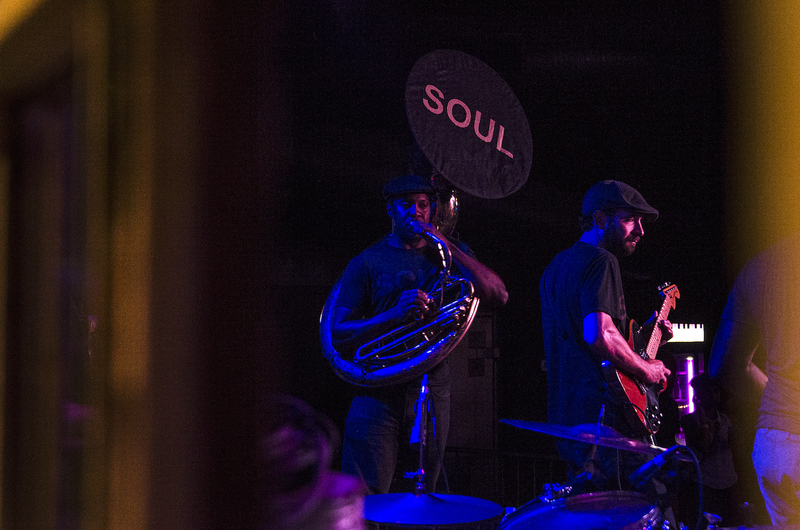 Feb. 15: Soul Brass Band at Maple Leaf at 8 p.m. Soul Brass Band is fun and funky, and although their music is based on a New Orleans street groove, they love to constantly switch between genres to keep the audience entertained and to keep defining themselves through different shapes and sounds encountered along the way. Feb. 16: Naughty Professor and Miss Mojo at One Eyed Jacks at 10 p.m.
Naughty Professor is an iconoclastic New Orleans-based jazz-funk sextet whose adventurous recordings and horn-charged, high-energy live performances have earned them an enthusiastic fan base, critical acclaim, and widespread attention from their musical peers. Their diligent roadwork has established Naughty Professor as a beloved live act. 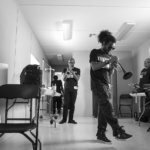 Weaving together complex, inventive compositions, and loose, organic improvisation, the band honors the jazz and brass band traditions of New Orleans while looking to the future. 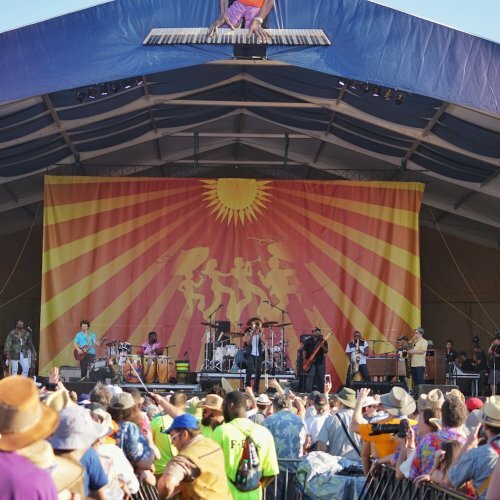 Miss Mojo is a soul-pop band based in New Orleans that strives to move audiences through its potent songwriting and high-energy live performances. The band’s creative strength draws from neo-soul and New Orleans’ extensive funk tradition, producing smooth and soulful original music in which “hip” and “pop” flawlessly coexist. 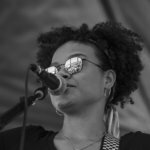 With the dynamic combo of Jenna Winston and Piper Browne serving as the voice of the band, Miss Mojo also seeks to use its platform to highlight the power of women through music. 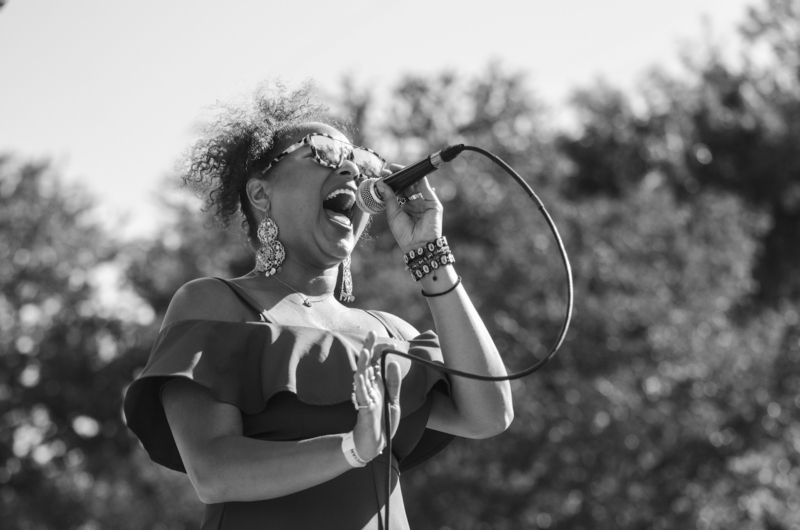 Feb. 17: Robin Barnes // Pat Casey at Spotted Cat at 7 p.m. // 10 p.m.
With a voice that is as powerful with a whisper as it is with a bellow, contemporary New Orleans jazz singer Robin Barnes is here to stun audiences. Robin grew up surrounded by jazz sounds, as made evident by a #5 debut on the Traditional Jazz Albums Billboard charts in 2016, but her current sound, Robin Barnes & The Fiya Birds, is more Chaka Khan meets Ella Fitzgerald. Stick around for Pat Casey and The New Sound, an energetic and exhilarating group fusing both classic and modern jazz with Afro-Cuban, Brazilian, and funk. The group plays original material as well as inspired arrangements of quintessential classics. Feb. 21: Deltaphonic at d.b.a. at 10 p.m.
Deltaphonic is a New Orleans duo that blends fingerpicking blues, funk, and roots rock into a surprisingly big sound. Propelled by the frenetic performances and memorable songwriting of band leader Andrew T. Weekes and drummer Ciaran Brennan, Deltaphonic consistently features a variety of notable guest musicians with Weekes being the only member present at every show. The band is currently working on a third album set for release this year. 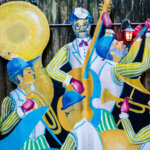 Feb. 22: Black History Month Celebration by NOJO at the Jazz Market at 6:30 p.m. 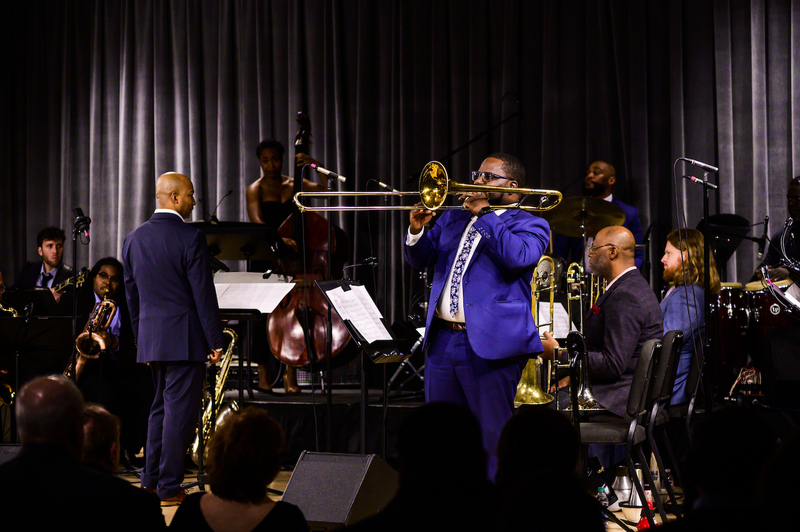 The annual New Orleans Jazz Orchestra Black History Month concert celebrates African American lives, experiences, and achievements that have shaped our nation’s history. This year, NOJO will honor the life and legacy of Mrs. Oretha Castle Haley – a New Orleans civil rights icon. Feb. 23: King James & The Special Men at d.b.a. at 11 p.m. Rooted in tradition but looking to the city’s vibrant present, Jimmy Horn’s group brings a punk spirit to New Orleans R&B. Any time a friend comes to visit me, I can’t not take them to King James at Saturn Bar on Monday nights.